Chicago (AFP) - Two parcel bombs rattled the US city of Austin on Monday, 10 days after a similar deadly blast, as Texas police said they were investigating the possibility that the attacks were serial hate crimes. A 17-year-old was killed early Monday after bringing a package into his home and opening it, while a woman living at the same address was injured. The twin bombings followed an initial blast on March 2, when a 39-year-old man was killed -- also after opening a parcel bomb. "This again is the third in what we believe to be related incidents over the past 10 days," Austin police chief Brian Manley told a news conference. "We are imploring the community, if you know anything about these attacks, it is imperative that you come forward." The Texas governor's office offered a $15,000 reward for information leading to an arrest in the case. "I want to assure all Texans, and especially those in Austin, that local, state and federal law enforcement officials are working diligently to find those responsible for these heinous crimes," Governor Greg Abbott said in a statement. "We have had two victims that were African American, and the victim of this latest incident was a 75-year-old Hispanic female," the police chief said. "So, we are still working to identify whether or not that may play a role, but we are not going to rule that out." Michelle Lee, a spokeswoman for the Federal Bureau of Investigation, which is aiding in the probe, told AFP: "Nothing had been ruled out in terms of motive." 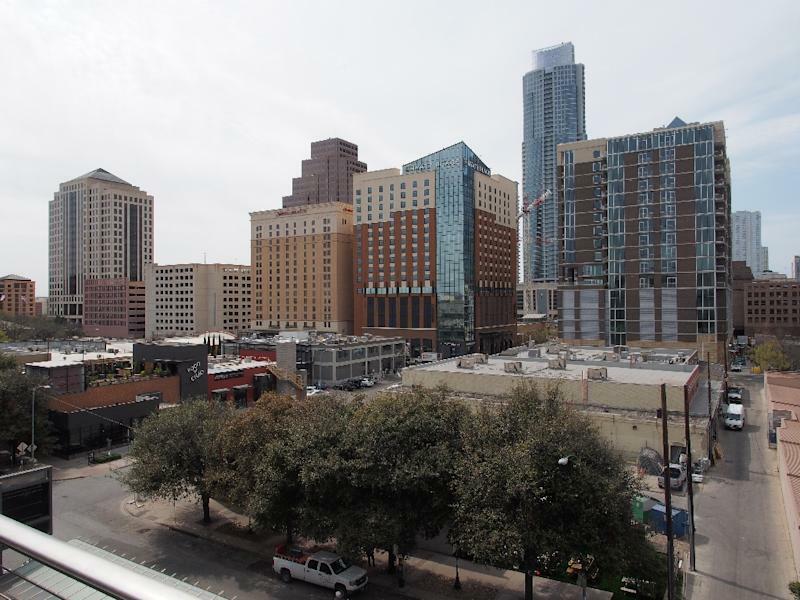 Austin police probed the bomb blasts as some 500,000 attendees from nearly 100 countries were in Austin for South by Southwest -- a sprawling event that features concerts, corporate presentations and film screenings. Tesla founder Elon Musk, London Mayor Sadiq Khan, onetime presidential candidate Bernie Sanders and music producer Nile Rodgers are among the top speakers. The festival's official Twitter account posted a statement saying the organization was "heartbroken by the explosions in Austin earlier this month and today. Our thoughts are with the victims and those affected." The police chief urged festival attendees to "be aware of what's going on."